Finding the perfect gift for your child can be challenging, especially if you are trying to find gifts that aren’t toys, a unique or educational gift, or something that will outlast your child’s ever changing preferences. Last year, my son was into police officers. And when I say, ‘into’ I mean obsessed. Everything was police. So much so that he turned his old race car toddler bed into a police car complete with handmade sirens, seats, a computer, and every police tool you can think of. I found a great Playmobil set with all the police vehicles, people, and tools he could want. I was thrilled. This was the perfect gift! Well, we were going out of town for a few days at Christmas and it didn’t come in the mail in time, ugh! I tried not to and decided to give it to him as a birthday gift instead. His party was only a couple weeks away. He had been crazy about police for almost an entire year so I figured there wouldn’t be an issue. Boy was I wrong! We decided to give him a Ninjago Lego set instead (he loves legos and the ninjago set had a coupe police ninjas so we figured it would be a success.) The ninja set was a success, but he instantly gave up police and became a ninja, which meant our police set was going to be a dud! I tell you this story because it taught me a valuable lesson. Even if your child is dying to have a certain toy, there is a good chance the enjoyment of that toy will be short lived and it will then be added to the heap of toys that have been forgotten. This post contains affiliate links. This means if you purchase a product through one of my links I may receive a small commission at no extra cost to you. Thank you for supporting my small business! Give a gift that your child will enjoy and will also be beneficial long term. These educational gifts are timeless and are sure to please without adding to the overload of toys filling up your house. Zoo Pass– A zoo pass is a perfect gift for a child of any age. Include an animal identification book, a stuffed animal, or a camera and this gift is sure to please. Plus, it has the added bonus of providing quality family time that will build relationships and provide lasting memories for you and your kids. National Geographic Subscription– Who doesn’t love to get something in the mail? Especially kids. This educational gift will provide excitement every month and give your whole family something to look forward to. There are National Geographic magazines made specifically for every age group which is perfect for siblings. You can check out the options here. Model Rocket Kit– Give the gift of creativity and just pure fun! This made the list of the best educational gifts your kids will love because it provides hours of building, creating, and of course launching fun for the whole family. Telescope– Do you have a child who is interested in space? Give the gift of a telescope along with some glow in the dark stars for their room and a constellation book. This would make the perfect unique Christmas gift or kids birthday gift. Lego Robotics– I happen to love Legos because I see how creative and innovative my children become when playing with them, but the robotics sets take it one step further. If you have a child who likes to build, you have to check these out. Children’s Museum or other Museum Pass– Getting your child a year membership to a local museum will give your family countless hours of fun together throughout the year. Although it isn’t a gift that can be instantly enjoyed, if you plan a day to use the pass shortly after giving the gift, it will be very exciting. Plus, delayed gratification is a vital skill for anyone to have so why not teach our children this skill early on? Board Games, Puzzles, Deck of Cards– Not only are games a great way to enjoy time together, they also promote all kinds of skills that will increase your child’s academic success. 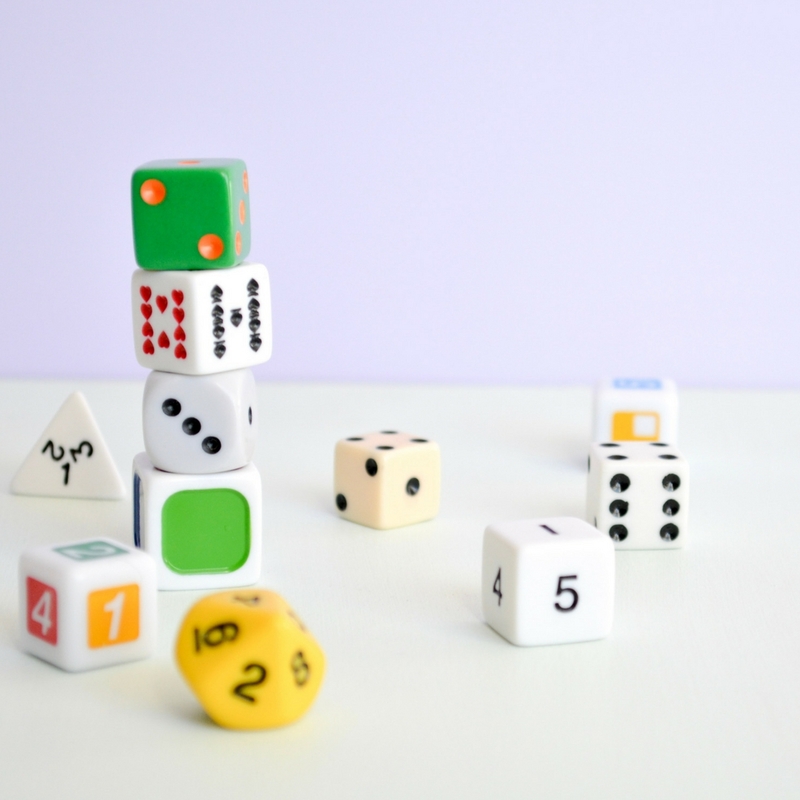 Here’s a list of my favorite board games for young kids that will help solidify early math concepts. Art Supplies– Put together an art kit with items that will stretch your child’s imagination as well as build upon their strengths and interests. This is a gift that is sure to please! Magnetic Building Blocks– Building and magnets…what could be better? These are my favorites! Cooking Class with Apron, Baking Mixes, Mixing Bowl and Spoons– What kid wouldn’t love to get messy in the kitchen? Camera– There are some great kid cameras that are basically indestructible. This one is my favorite. My son started using it when he was three and still loves it. If your child is a bit older and ready for a real camera, there are some very affordable starters out there. This is a great place to start. Little Construction Kit with Wood Pieces, a Hammer, Nails, Safety Goggles, etc.- This is always a favorite! You can find little building kits or just provide wood pieces. Either way, your child will have hours of fun with this unique gift. Books and an Epic Subscription– Book are always a great gift. If you are looking for a new way to give the gift of books, Epic is an incredible online library with over 25,000 books your child can choose from, with options to read or listen to. You can try it for free. ABC Mouse Subscription– If your child is 8 or under, ABC Mouse is a highly engaging learning app with a very low monthly cost. Your child will learn a ton, have fun, and give you some quiet time! Read more about the program here or sign up for your 30 day free trial here. Binoculars and a Magnifying Glass with a Bird, Tree, Bug, or Flower Identification Card– If you have a little explorer or budding scientist, these items would be a wonderful educational gift. Dress Up Kits– Imaginative play has incredible benefits for language, literacy, character, and communication development. Put together a few outfits that will allow your child to pretend play. Rock Polisher– My little rock hound loves his rock polisher! I don’t think I have ever met a child who didn’t love rocks. Learn about rocks together with this fun children’s Christmas or birthday gift. Calculator– Kids of all ages love playing with calculators. Whether or not they are using the calculator to do arithmetic, they will be learning. This one is really cute! Seeds, Planters, and Kid Size Garden Tools– Let your kids get outside and get dirty with this gift! A Wrist Watch– Your child is never to young for a wrist watch. Telling time can be one of the hardest skills for a child to learn, especially with the lack of analog clocks around. I suggest buying a watch that will help your chid learn to tell time, like this one. Cash Register with Play Money– Teach your child about money and provide endless hours of pretend play with a cash register. Magnets– Gather up a variety of magnets and magnetic items and encourage your child to explore the concept. Just be careful with little ones. Magnets can be extremely dangerous if swallowed. Marble Maze– There are a large variety of different marble mazes that would be perfect for every age. These are my favorite! You could start here and search for the perfect one for your child. Musical Instrument– Even if you re not a ‘musical’ family, music has numerous educational benefits. Give your child the perfect meaningful gift with a musical instrument. Class or Sport Enrollment– Sign your child up for an activity or sport of their choice. The options are endless. There are even some great online choices if you live in a location that doesn’t offer many classes or sports. Subscription Box– You can find subscription boxes for almost any interest, from science to art to cooking. Your child will get a new exploration box each month. Be intentional about the gifts you give. Find purposeful Christmas and birthday gifts for your child and enjoy the family time they provide. Giving one or more of these educational gifts for your child’s birthday or Christmas will have a lasting impact. I hope you found valuable information in this article. These are all great ideas! Thank you for sharing. I am so glad they were helpful! Thank you for the comment!